Just a quick update here after unwrapping the peel ply cover this morning. 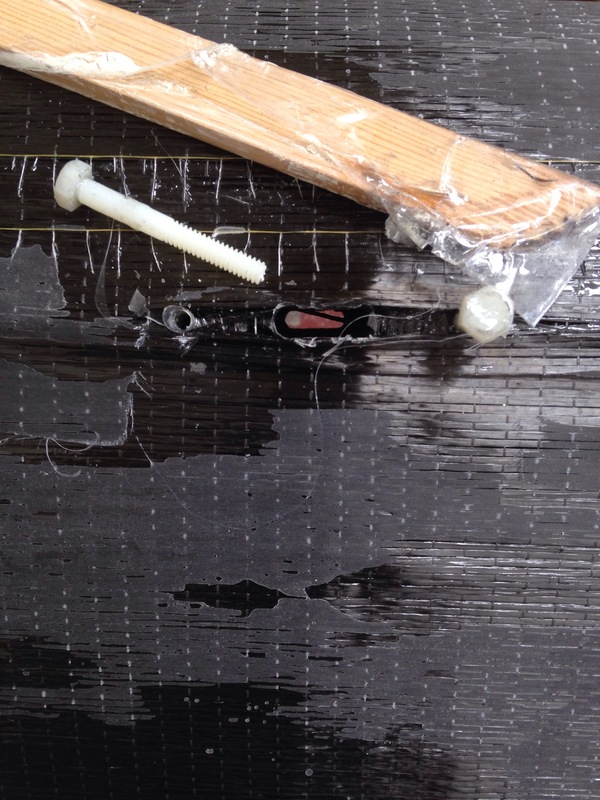 The longitudinal carbon filaments came out very straight up and down. There’s a bit of sanding and fairing to do in spots where the layers overlapped, but we won’t go try to hide the new hoop ‘ribs’ from the final finish. It was also pretty great when all the plastic, wax covered bolts freed right up and the j-lok terminal hole wooden fillers slid out (after some hammering). Reinforcement patches went on one side of the mast this eve, and we’ll hit the rest in the morning. 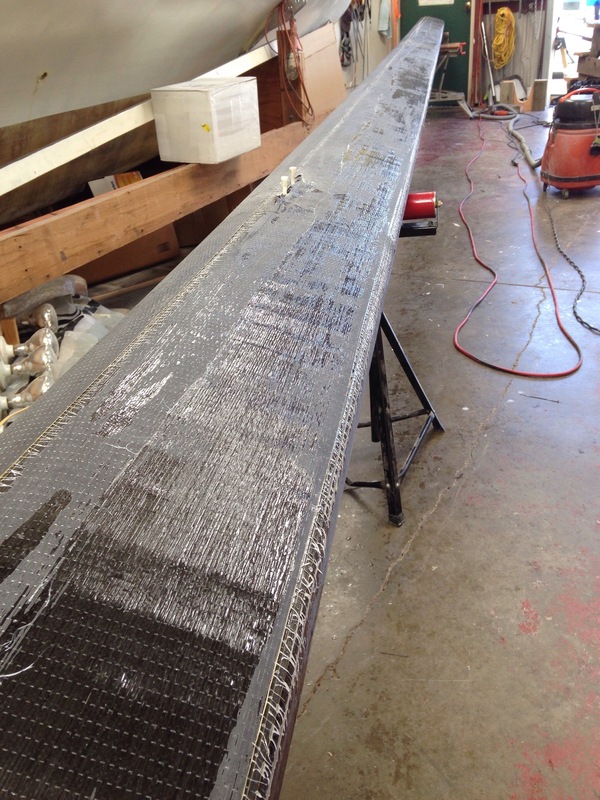 The epoxy cures quickly in this California heat wave! and Downieville??? Ha! I’ll be amazed but not surprised if you’ll be there for the classic. . . and carbon wrap looks also amazing! Awesome stuff Carter. Way to rock it! Dude, I’m an on-course mobile repairman this year. Carrying tubes and bandages. You never know what’ll break first.